It’s a far too common scene in businesses: an employee is working on an important project when their workstation starts acting up. Flustered, they call in the IT department, but they won’t be able to make it up to them for an hour at least. So, what’s a worker to do? Just sit there and wait? With a Help Desk solution, this wouldn’t be an issue. A business’ critical operations aren’t something that can be casually postponed. Therefore, any issues that present themselves must be attended to as quickly as possible in order to avoid wasted time and lost productivity. A Help Desk solution allows an employee to call in the cavalry, so to speak, the moment something begins to go wrong. Once the employee contacts the help desk representative, the underlying issue can be identified, rooted out, and resolved. This can all be accomplished without disturbing other members of the business. The employee’s coworkers will not need to be disturbed by a member of the IT team coming up to troubleshoot the problem, and IT will have one less distraction from their innovating responsibilities to deal with this problem. Finally, the employee will be able to return to their work much more quickly and easily than they would otherwise–minimizing the effects of the issue on all fronts. 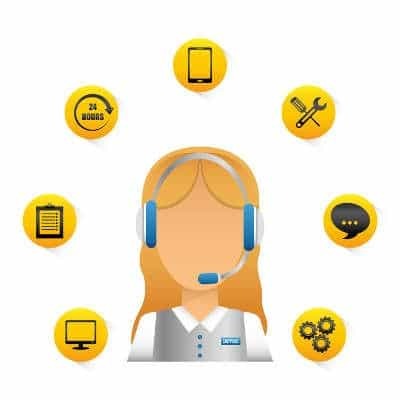 If a comprehensive Help Desk solution sounds like it would be a welcome addition to your support, let us know! Reach out to us at 307-686-3025 for more information today.